Car Key Copy North Hollywood – A Professional Locksmith Key Duplication Service. We can copy most all types of car keys from Audi, Saab, BMW, Volvo, Porsche, Honda Ford, Kia, GMC, Chevy, And many other car key copy and duplication services. We also offer a mobile locksmith service so we can come to your location no matter where in Los Angeles, North Hollywood or the San Fernando Valley you may be. Feel free to give us a call any time of the day or night as we are open 24 hours a day for your convenience. We thrive to have the best customer service and prices around. How much does a car key copy cost? We have car key copies starting at just $5.00! the price varies per vehicle, model and year of course but we maintain a much lower pay scale then most our competitors. Give us a call today or come by our shop! We can get your car key copy done very quickly for you. 818-821-6723. We have been in the locksmith business for a very long time and specialize in automotive locksmith services. We can cut and program just about any key on any car. 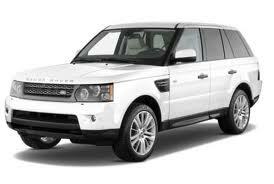 For example Range Rover has called us to make copies of there own keys! We are very affordable and always reliable. We can be at your location for your car key copy in about 20min sometimes less sometimes a little longer. We all know how traffic in LA is!. Locksmith North Hollywood is usually half the price of the dealership. We hope that when choosing a locksmith to cut your car key copy that you choose us at Locksmith North Hollywood – Car Key Copy every time. We promise t deliver nothing but the best service. We also service Sherman Oaks, Los Angeles, Van Nuys And many other locations around the Los Angeles area.